Please sign up to our new email newsletter and keep up to date with product changes, new products and pricing! Bridal headbands and bandanas offer that subtle touch for any bride, if bling is too much then she will adore our range of bridal bandanas. 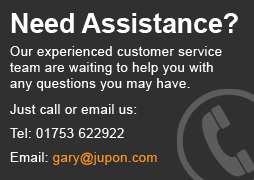 Click any of our products below for further information. 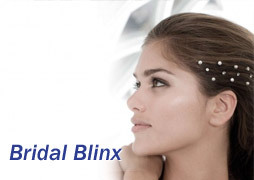 Jupon brings you this beautiful hairband that rests on the top of the brides hair. It's a thin and delicate design which really make the Strass stones stand out. Available in Ivory. .. 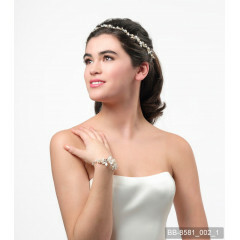 This wonderful Jupon bridal hairband has an intricate and stylish design to it. It rests comfortable across the brides forhead and features shiny sequins, Strass stones, and pearls. Available in Gold / Rosa. ..
A medium size floral hairband from the Jupon range. This item features realistic flowers and small Strass stones. Available in Pink / Gold. .. 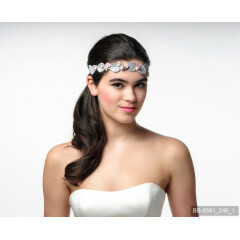 This Jupon bridal hairband features a beautifully designed floral band with Strass stones in the centre of the flowers. Available in Pink. ..
A gorgeous bridal hairband, from Jupon, that features floral bunches across the band that each have a Strass stone finish. Available in Gold. ..
Jupon presents this wonderful hairband. It features a cluster of realistic flowers and a great array of shiny Strass stones. Available in Silver / Rosa. ..
A unique bridal hairband from Jupon. 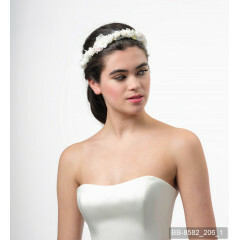 The hairband has a stunning leaf design throughout the band with small flowers also. Available in Pink / Blue. ..
A lovely Taupe headband from Jupon. This bridal piece is adorned with taupe and ivory flowers. Colours Available: Taupe. ..
A beautiful lace Headband from Jupon that can also double as a necklace. A simple, soft, and lovely design that's perfect for any bride looking for something extra for her outfit.Available in Ivory. ..
A lightweight Headband from Jupon with a floral design and a circle of Strass stones as the centre piece.Available in Ivory. 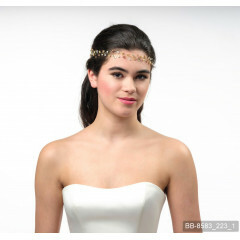 ..
A luxury Headband from Jupon that features beautiful sequins and pearls across the band. ..